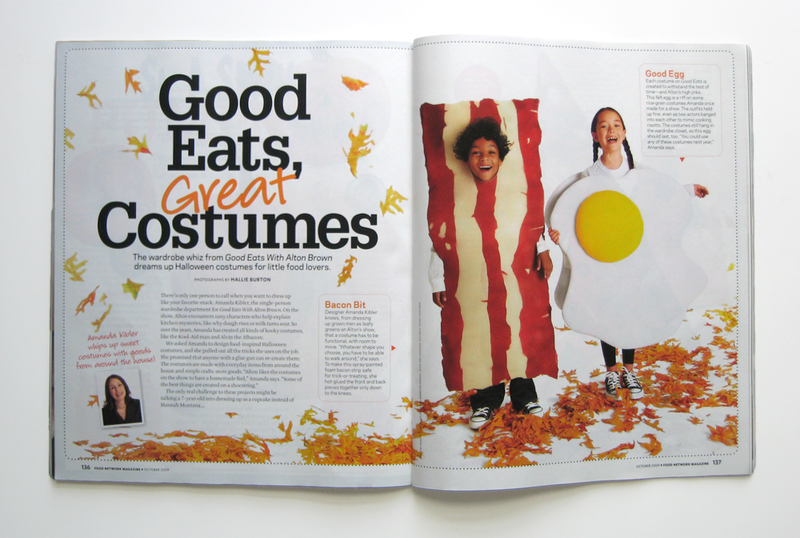 In the latest issue of Food Network Magazine, there's a spread called "Good Eats, Great Costumes" that features kids' Halloween costumes designed by Amanda Kibler, the "single-person wardrobe department" for Good Eats with Alton Brown, complete with very detailed instructions. 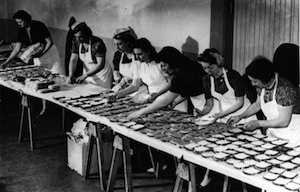 The impressive costumes — bacon, eggs, a slice of pizza, a cupcake, a small fries — are "made with everyday items from around the house and simple crafts-store goods" and can be made simply with a glue gun. 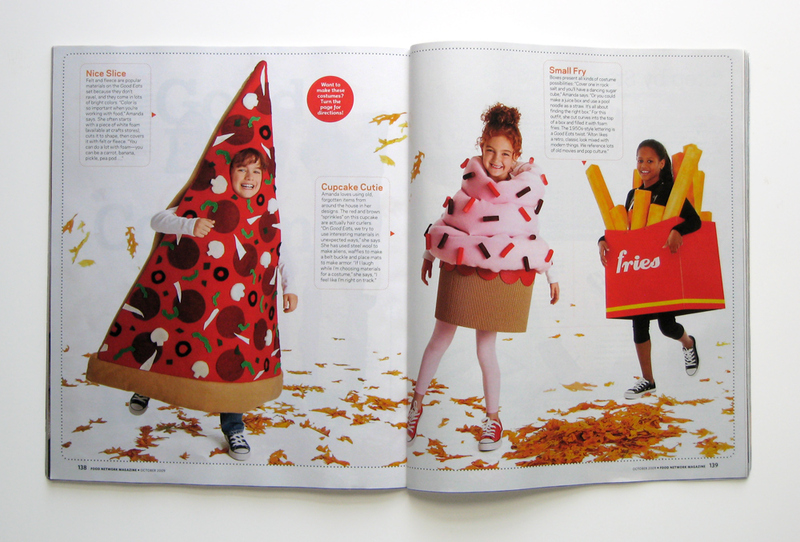 There's absolutely no reason that a full-size adult couldn't make these genius costumes for themselves.